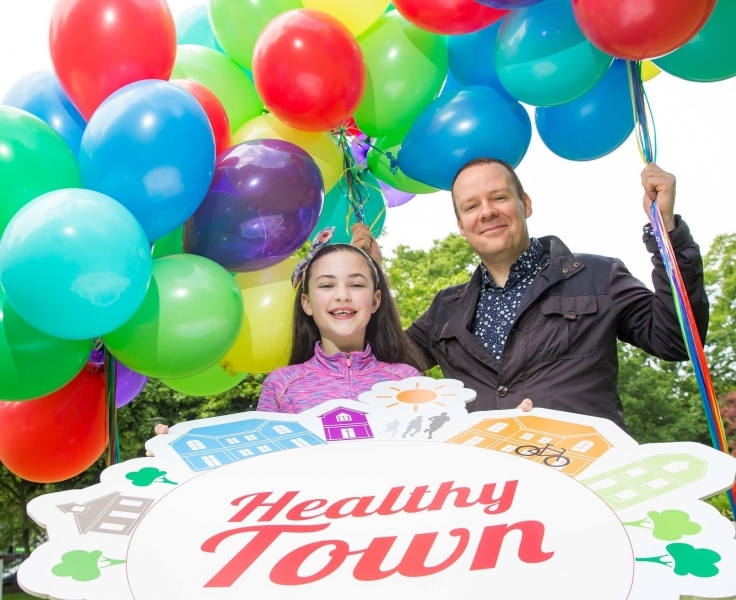 Pfizer today announced that comedian, Offaly native and Ambassador for Healthy Town 2017, Neil Delamere, will lead the people of Tullamore on a thirty-minute community walk in Tullamore Town Park on Tuesday 12th of September at 7pm to mark the launch of Pfizer Healthy Town 2017. The community walk is open to anyone in Tullamore and everyone in the locality is encouraged to participate! The Healthy Town programme will involve a series of free events and seminars, and provide the community with an opportunity to focus on their health and wellbeing, encouraging them to make simple, small changes which will benefit their health and to inspire other towns across Ireland to do likewise. Now in its sixth year, Pfizer Healthy Town is an annual programme that aims to enhance the health and wellbeing of communities around Ireland. It aligns with the World Health Organisation’s Healthy Cities initiative and Healthy Ireland’s Healthy Towns and Counties, and establishes that every town has the potential to be a Healthy Town. ‘Healthy Ireland’, the national framework for action to improve the health and wellbeing of Ireland, supports the programme. Previous Healthy Towns have included Navan, Athlone, Portlaoise, Wicklow and Kilkenny.